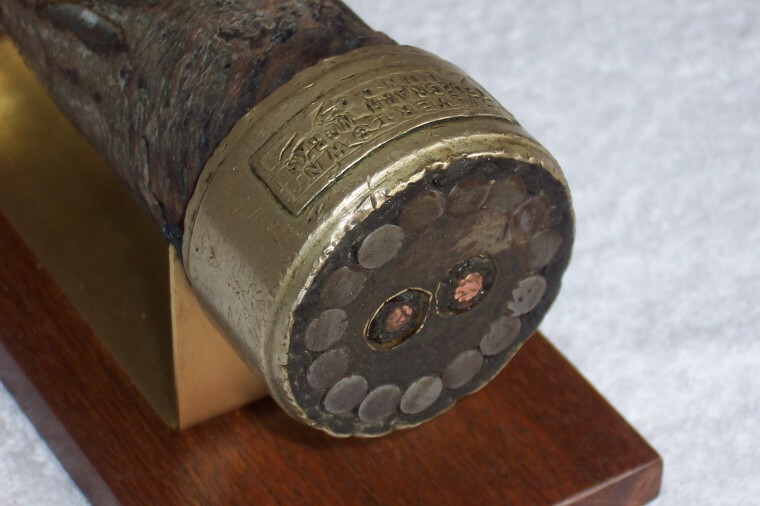 Sample of cable manufactured by “The Silvertown Telegraph Works“. Diameter 1-5/8 “ with 15 No. 3 (1/4 “) sheathing wires. Twin core, each core consisting of a large central wire with 10 smaller wires laid up round it. Gutta percha core, brass taped. Possibly a sample of a shore end section, although some twin core cables provided two independent circuits in some cases. See SU-022 .